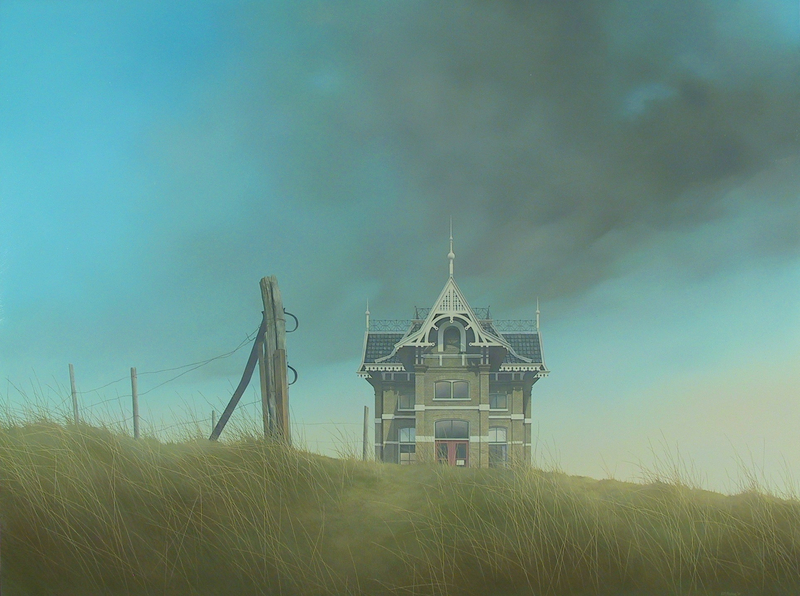 Johan Abeling is a Dutch artist who creates suggestive landscapes characterized by the total desolation of the shown places and by the fog, a recurring leitmotif in his artworks. He uses the Sfumato technique to increase the mysterious atmosphere in his paintings, this technique first applied by Leonardo Da Vinci, requires several layers of trasparent paint and softening tones. 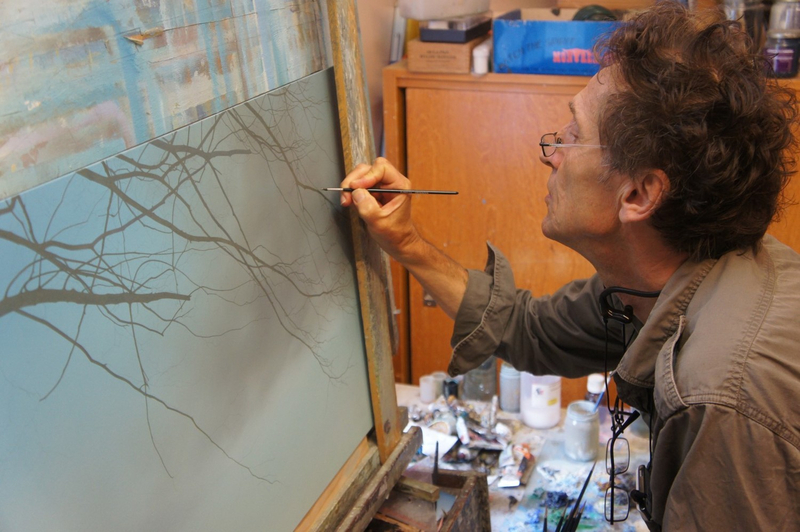 Abeling’s paintings put the nature at the heart of everything. He almost totally excludes the human presence, leaving just some traces of its passage through elements, like abandoned houses and picket fences. 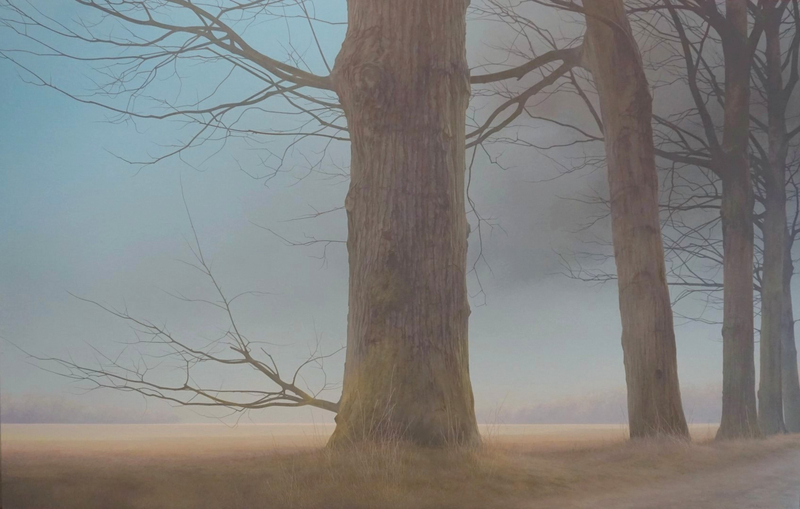 These landscapes represent a sort of moment frozen in time, a surreal, peaceful but also discomforting scene, where the viewer could find his personal visions, meaning and feelings. 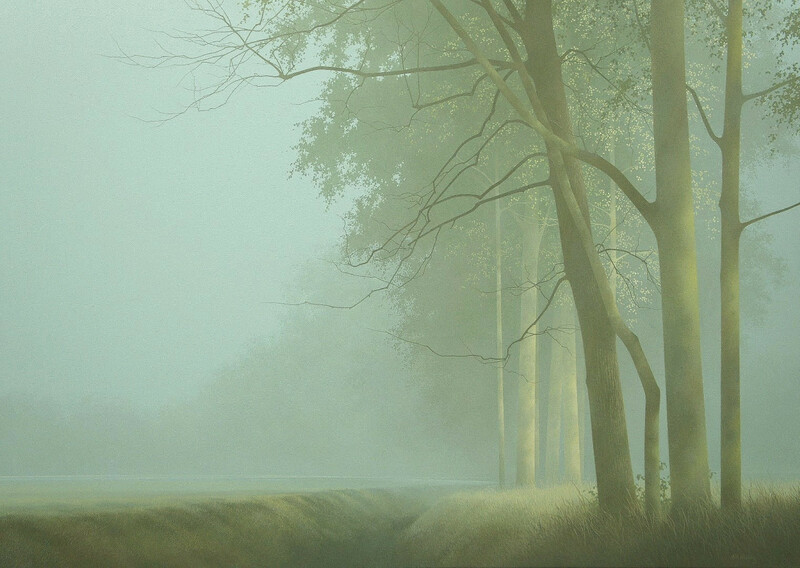 Most of your paintings represent natural landscapes without human presence. We think that everyone, seeing them, could feel the silence and the sense of isolation transmitting. What is your relationship with nature? Sometimes I am afraid that we have lost the sense of being part of nature, that we no longer have an eye for its beauty and healing power. In this hectic world where there’s almost no time for contemplation, I hope my paintings add to a sense of connection with the mysterious magnificence and restorative serenity of nature. Da Vinci fue un excelente paisajista e inclusive hizo algunas esculturas. Yo creo que La Virgen de las Rocas es una de las grandes cosas que hizo.